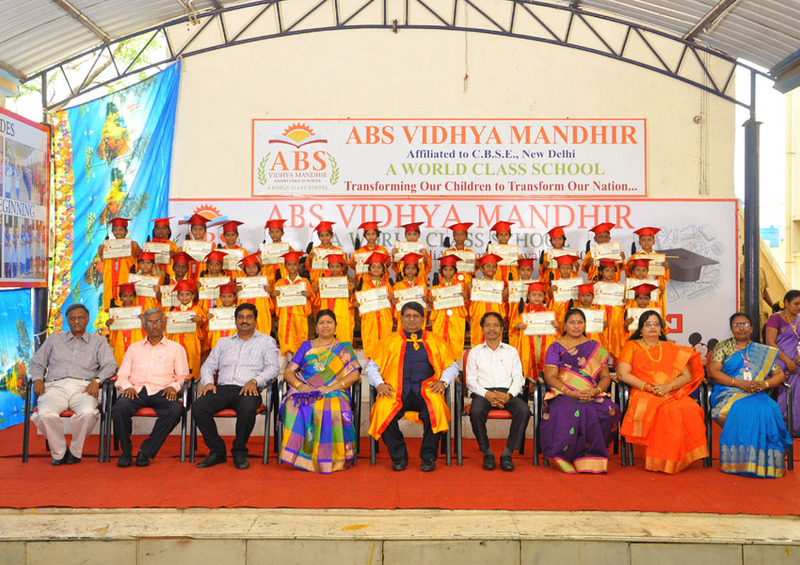 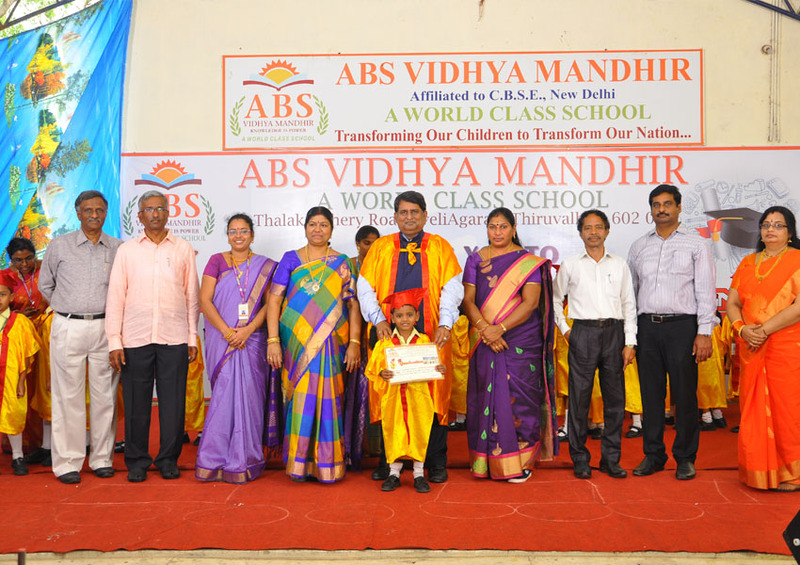 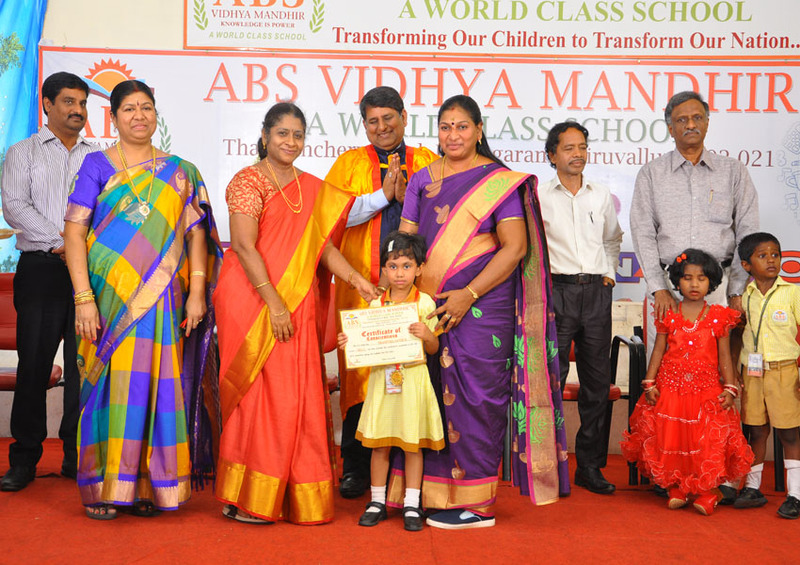 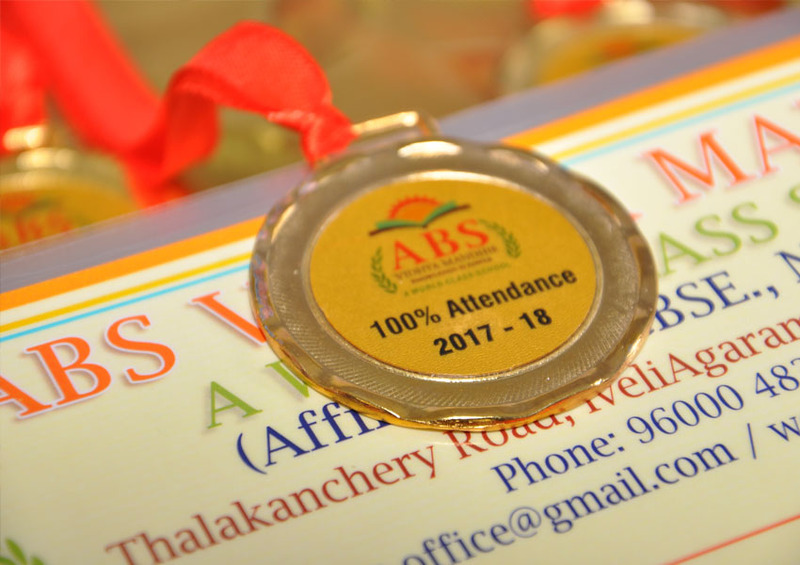 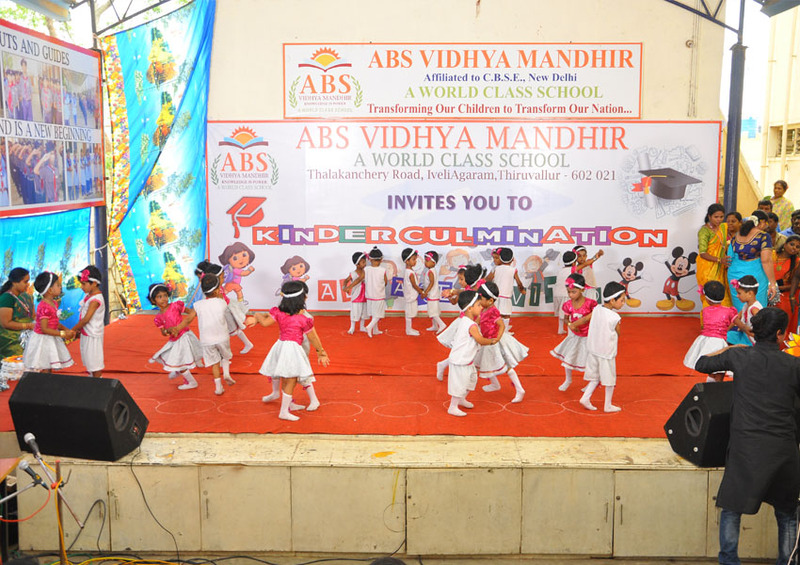 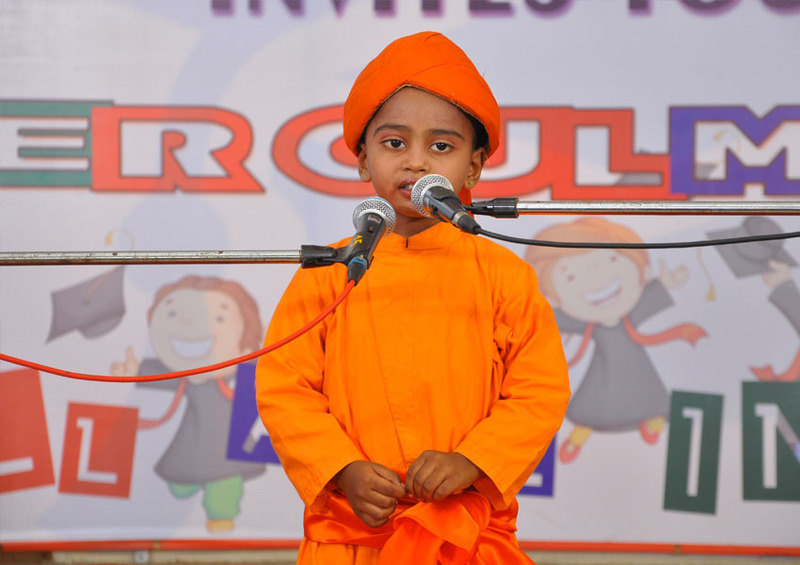 ABS Vidhya Mandhir conducted Kindergarten Culmination Day on 17th March at 10.00 am on the school grounds. 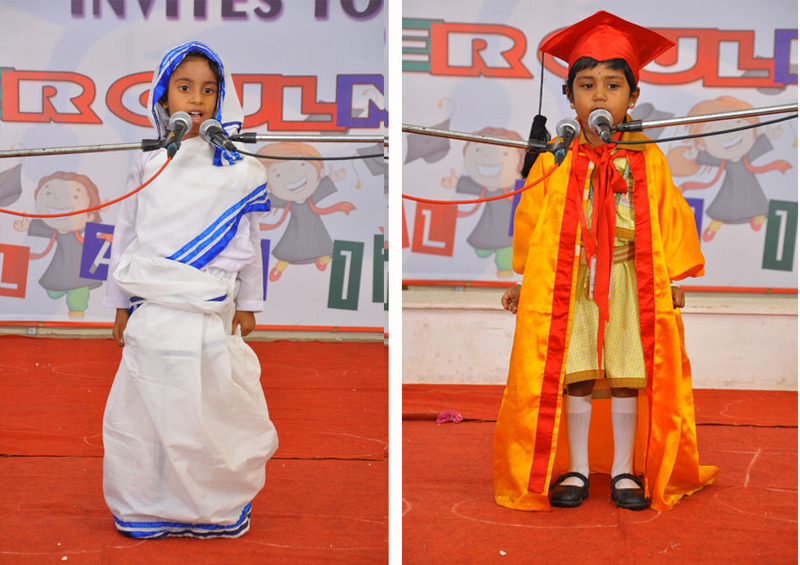 The smart and tiny tots of UKG dressed in graduation robes and caps, marched in a row along with their chief guest. 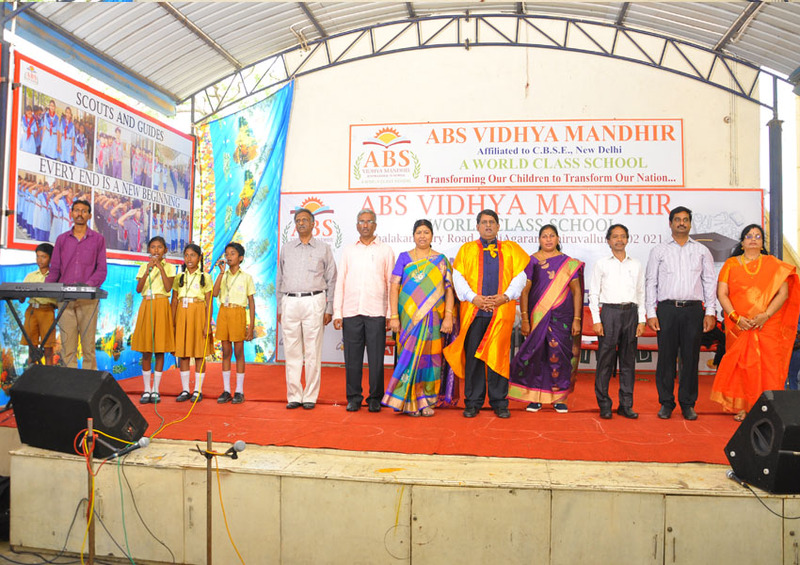 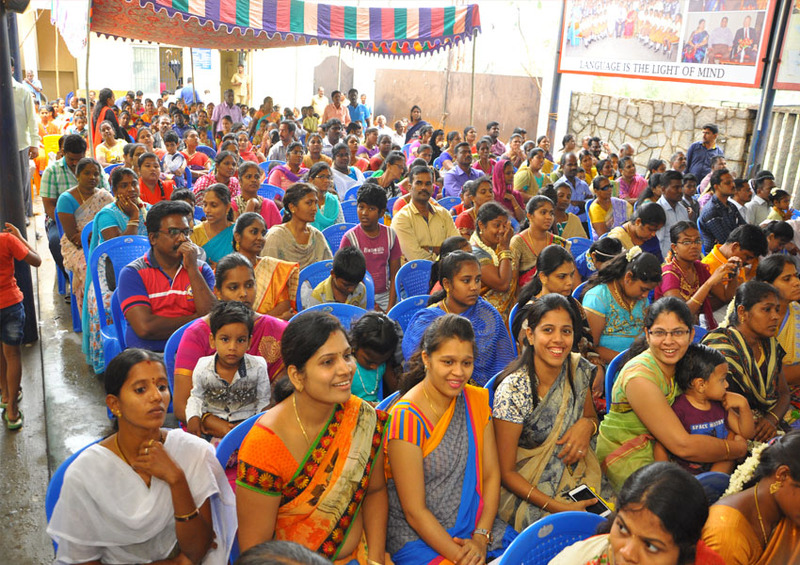 The chief guest of the day was Mrs. Nappinai Seran, Psychologist, Meenakshi Medical College, Kanchipuram. 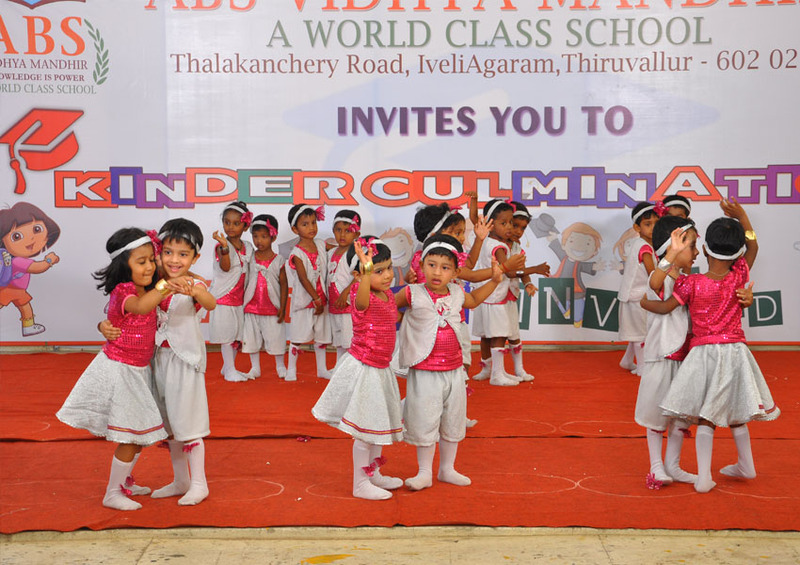 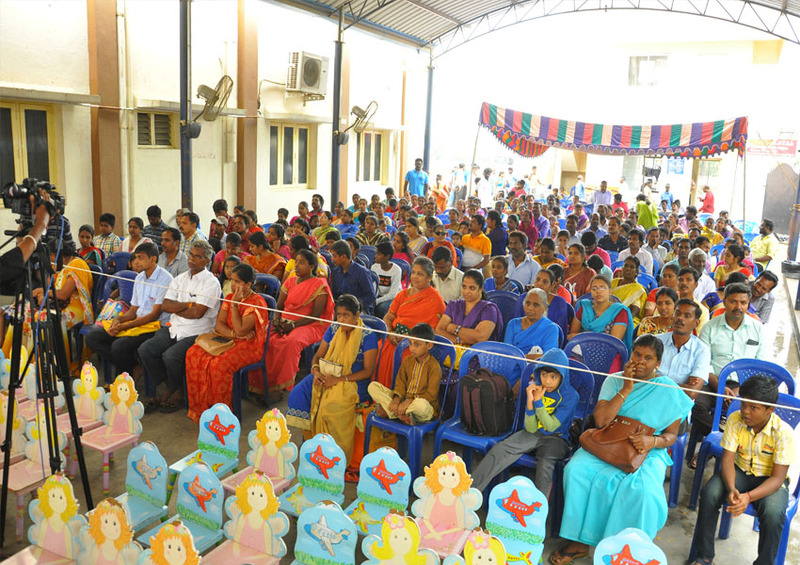 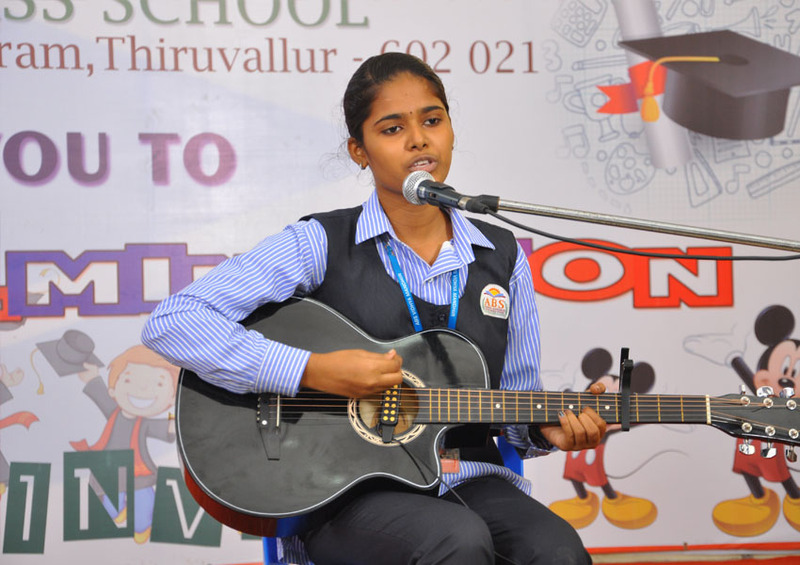 The program began with an invocation song, followed by a welcome dance by the students of LKG. 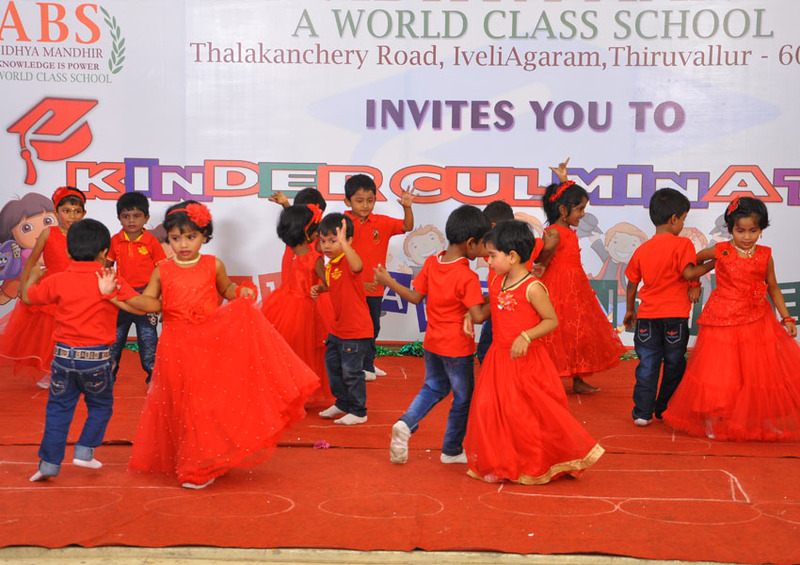 The vibrant music, coordinated dance steps and breath taking colours promptly set the tone and mood. 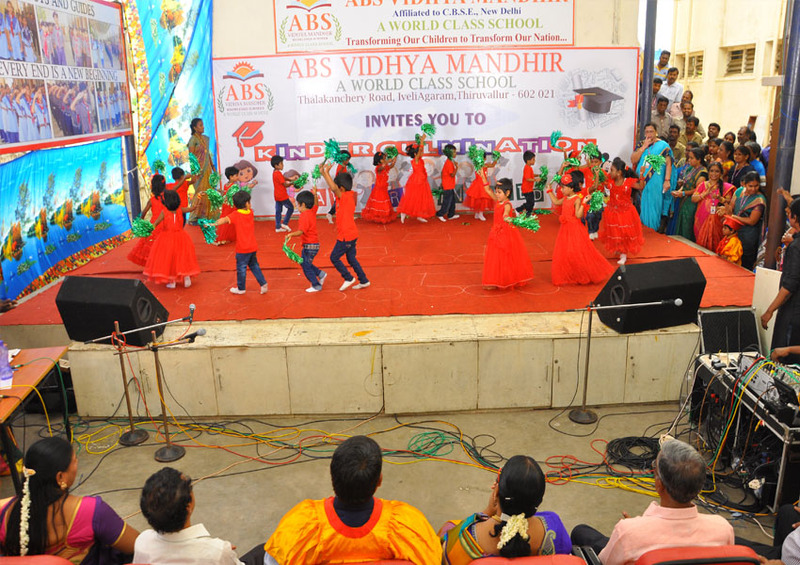 The cultural extra vaganza was interspersed with the most important event of the day. 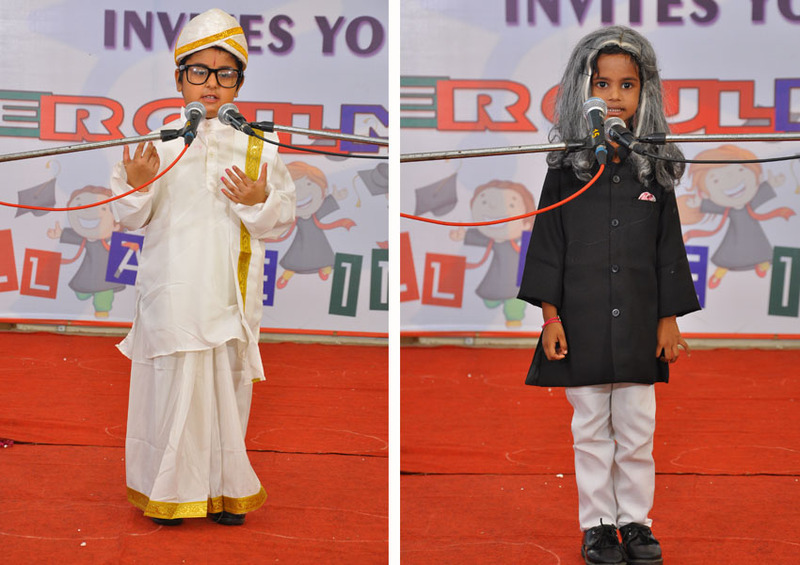 The young budding graduates walked the ramp adorned in traditional convocation gowns and caps. 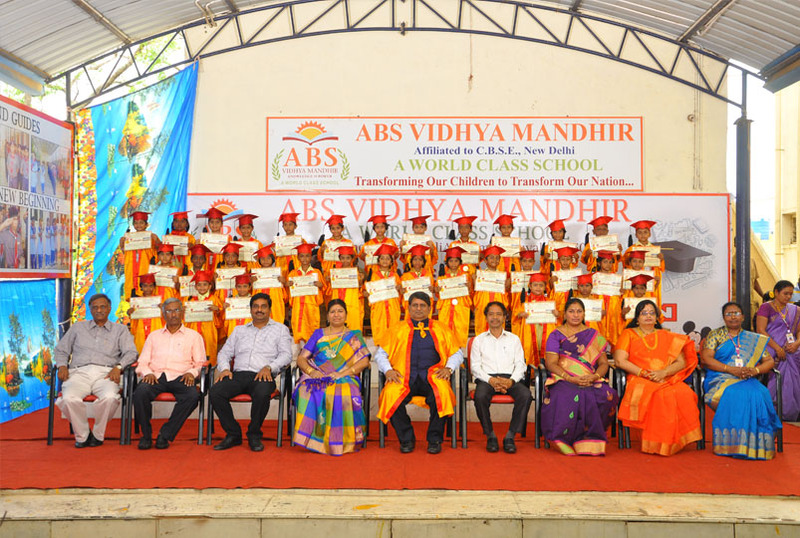 Their smiling faces were welcomed by rapturous applause from the audience as they received scrolls of merit on the stage. 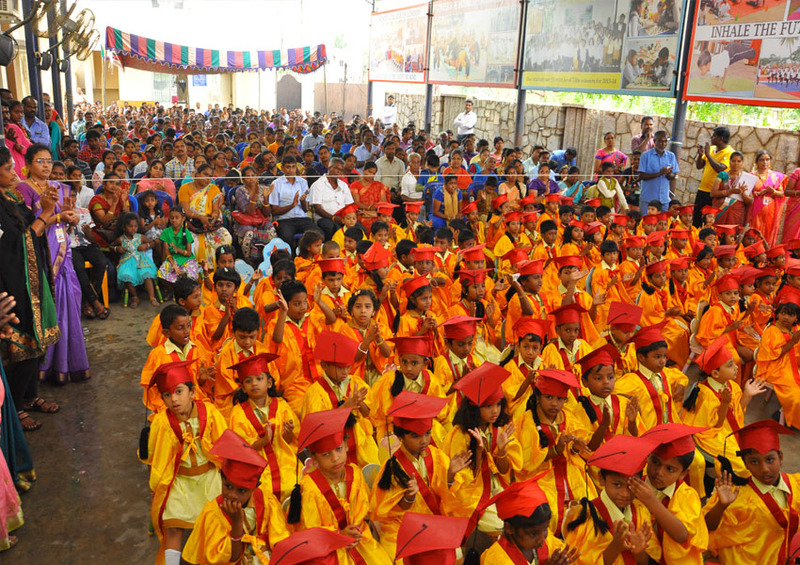 Let’s wish the young graduates and for the younger lot to do the reputable graduation gown next year.